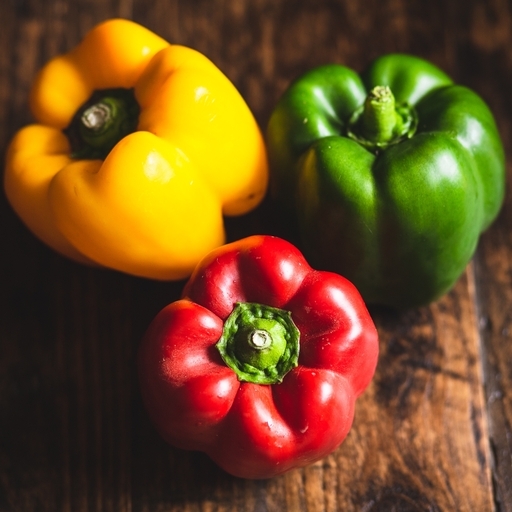 These mixed organic peppers are sweet, crunchy and very versatile. They’ll add crunch to salads, colour to stir fries and smoky sweetness to a plate of roasted veg. Local isn’t always best! Peppers’ homegrown season falls in late summer, although they’re a customer favourite year-round. When we can’t grow them naturally at home, we truck over sun-ripened peppers from our growers in Spain. Surprisingly, this uses just a fraction of the C02 compared with growing them in the UK under heated glass. Eat raw in salads or with dips, or cook into soups, stews and omelettes. Lots of recipes call for them to be roasted, giving a lusciously smoky, concentrated flavour. Roast in the oven at 200ºC/Gas 6 until the skin is black and blistered. Put in a bowl, cover with clingfilm and leave for 10 mins – this makes the skin easier to peel off the sweet, meltingly tender flesh. We sell them all year round - from Alan Turner in the UK autumn season and from our Spanish growers the rest of the year.